This gross cloudy and cold weather has really been bumming me out lately. Come on sunshine...where are you? 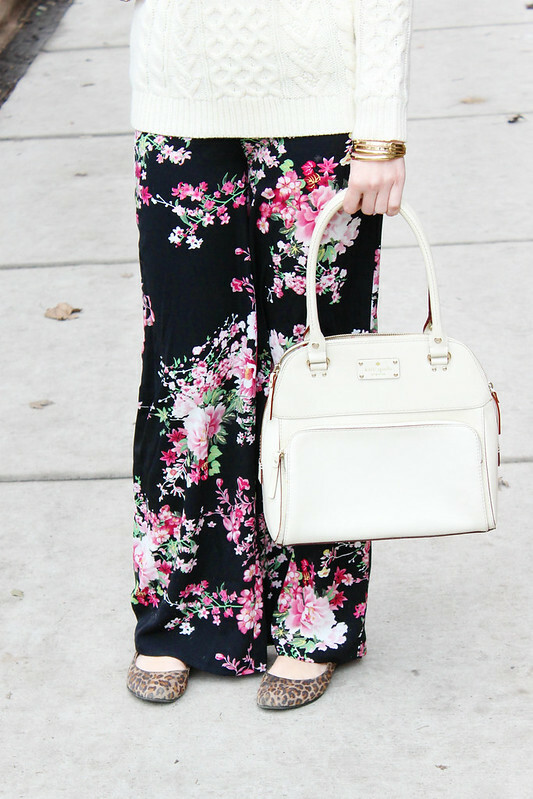 In an effort to get spring to arrive sooner, I wanted to bust out my ridiculously comfortable floral pants. I paired the pants with a solid white cable knit sweater since the patterned pants are so loud on their own. 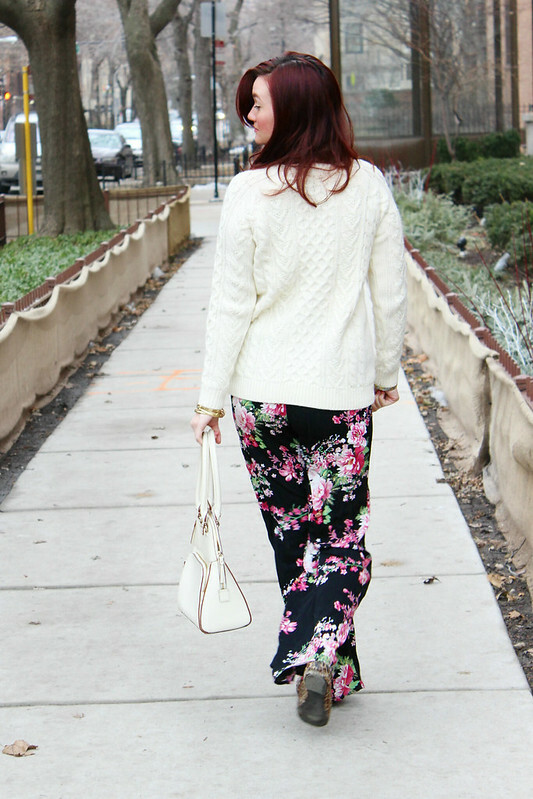 The cable knit and chunky look of the sweater also allowed me to easily make these fabulous spring pants work for the cloudy winter months as well. 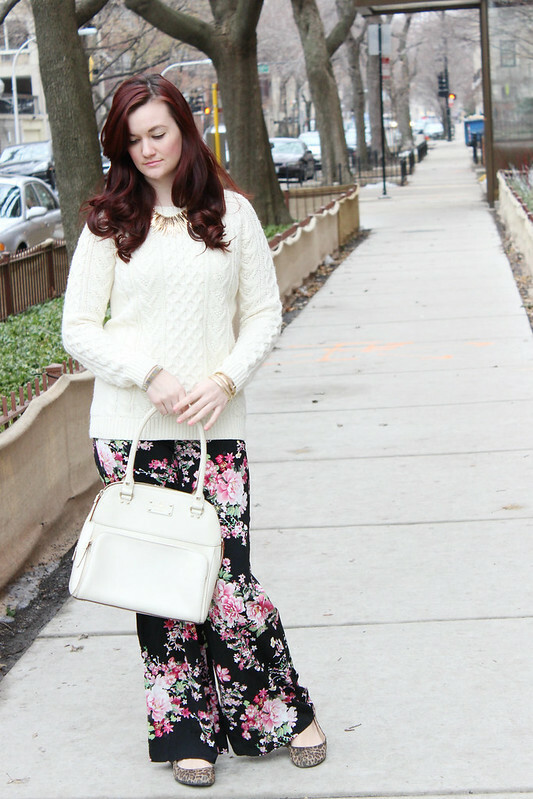 Maybe Mother Nature will see me wearing all of my florals and decide to come early!